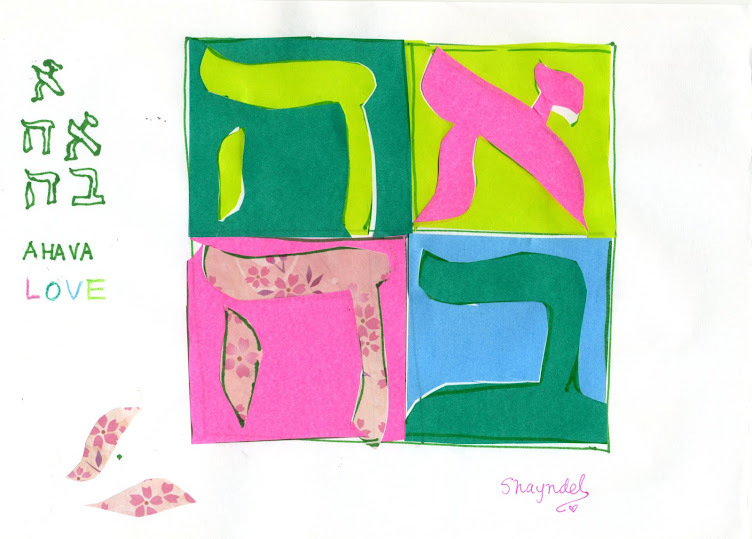 On Shabbat, our table can become a place to tell the story of the weekly parsha reading, and a way to invite others to enter into the Torah in creative and fun ways. And maybe even inspire others to read the Torah and hunger for the Word that it contains. The Parsha this week inspired me to make a Challah to express Aaron`s Blossoming, Flowering Staff. In this post, I would like to set the table with the Challah and a little more of the story. When Korach rebels against Moses, which is actually a rebellion against G-d, G-d tells Moses to have the twelve tribes line up their staffs (rods) in front of the testimony of the Tent of Meeting. He then tells Moses that the staff of the man that He chooses will sprout, and this is how He was to do away with those who are grumbling and rebelling against Moses. So Moses gathered the staffs and placed them before ADONAI in the Tent of Testimony. Of course, Aaron's staff blossoms (see post below and read Numbers 17:1 - 12!). To keep the surprise for your Shabbat guests, I recommend keeping `Aaron`s Flowering Staff` Challah covered at first. This is fitting because we keep the Challah covered while we recite the blessings over the candles and the wine (explained in a post HERE)! I used my Second Challah Cover, with the Hebrew names of the Twelve Tribes. For a dramatic effect in the telling of the parsha, from under the Challah Cover, you can have the flowers and the top of the staff emerge! As you tell the story of the Parsha to your Shabbat guests, and uncover the Challah it makes for a memorable surprise and teaching to see how only the staff of Aaron blossomed. Have almonds scattered on the table, and if possible, use a blossom patterned cloth! For the eleven `staffs` of the tribes, I used `POCKY` sticks. They are a popular kind of candy in Japan. I used `almond` variety, and this colorful shower variety. I bring your attention here to the back of the `Almond` Pocky box. There were perforations where you could poke the arms out and move them into an embrace. It just seemed perfect to put the flowering staff into the hands of the boy! And do you see how the background has blossoms all around!! Don`t you find that as our lives get more and more focused on Torah, every little thing around us reflects it too!! 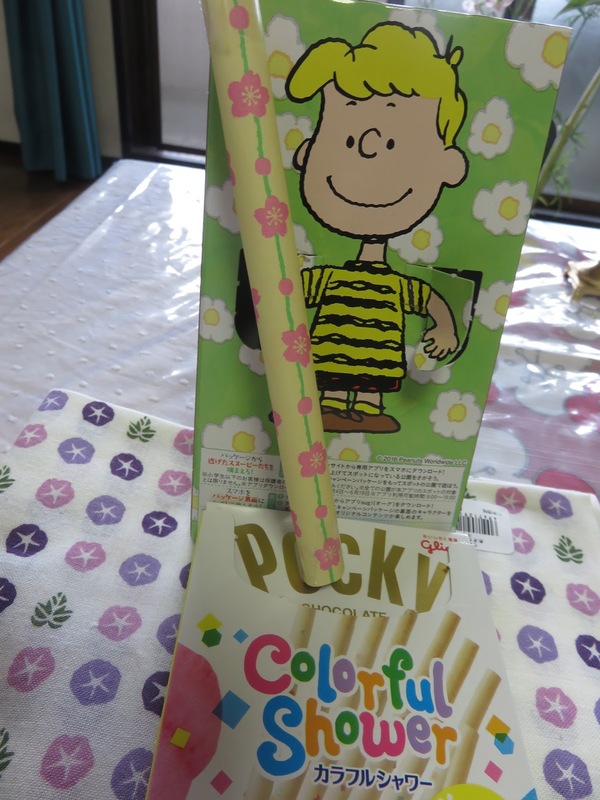 Even a Pocky Box! Pocky sticks! And the origami paper that is full of blossoms. Just roll it and tape it to make a little `flowering Staff` to remind us of Aaron in the story this week of Parsha Korach. Aaron`s staff is a testimony in perpetuity to us all to NOT rebel like Korah, and to be obedient to the One who G-d chooses as His High Priest. This story lives on. note: I have been using the words `rod` and `staff` interchangeably through these two posts.